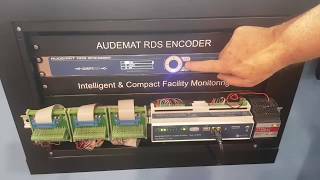 The AUDEMAT CONTROL Silver (formerly known as Mini Control Silver) is a DIN Rail mountable system for site management and monitoring. In one compact box, it delivers all the key elements for efficient site management: automation, fault notifications, telecommunications and graphic overview. It can be configured to connect with any equipment at a site through traditional status and metering inputs and commands (relays). The AUDEMAT CONTROL Silver is also capable of advanced connections to other equipment using serial protocols or SNMP via an IP network. Using the ScriptEasy software suite, configuration of the AUDEMAT CONTROL Silver is quick and easy.